Various dining options are available at Pine Valley to suit individual preferences as well as to address our residents’ clinical and nutritional needs. 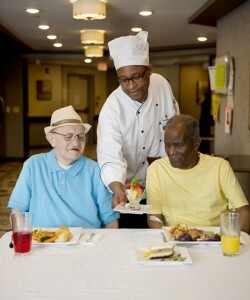 All our meals are prepared by professional chefs with years of experience. Our dietary team prides themselves on their ability to incorporate that “home-made” flavor to every dish.